The musical geniuses behind GLASS HAMMER have once again produced an absolutely fabulous concept album. This album is a melting pot of everything that is related to progressive rock: Hammond organ, Mellotron, Mini-Moog, extended instrumental passages, a beautiful cover-painting by artist Bruce Huffmann, a brilliant concept story and top quality songs. The lyrics tell the story about a young man who listens to his collection of progressive rock concept albums. When listening to the albums he begins to hear alien voices between and within' the songs, telling him to build a space machine in order to plan for a future alien arrival. The musicians are very talented, and Fred Schendel is without doubt one of the finest keyboard players around today in the progressive genre. Arjen Lucassen of AYREON is doing a guest appearance on this album playing additional lead guitars. The music is firmly rooted in the '70's progressive rock. Musical reminiscences that springs to mind are EMERSON, LAKE & PALMER, The FLOWER KINGS, GENESIS, NATHAN MAHL, PINK FLOYD, SPOCK'S BEARD, TRANSATLANTIC and YES. The track "Revelation" is a future all-time progressive classic. What we have here is one of the best progressive albums of the year, and it probably will stand the test of time and become a future classic. HIGHLY RECOMMENDED...! Exceptional. Forget the whole concept thing, it's not important. What is important is the incredible musicality. Various snipets of prog masterpieces are reborn, especially the keyboard mastery of Keith Emerson and Rick Wakeman. You will find quotes from both musicians throughout this keyboard dominated recording. A fourth star would be appropriate had another vocalist been used. Brad Marler is at times annoying, at others, downright horrible. The timbre of his voice is good, however, his striving to be emotive wreaks havoc on an awesome instrumental display. Arjen Lucassen guests on guitar and offsets the barrage of keyboards. There is enough musical talent to give one reason to forgive the lousy vocals. I wasn't sure how many stars to give this one, three or four. Three and a half would have been the most accurate, I think. This is a fine album. Before this, the only one I possessed by Glass Hammer was Shadowlands. See my review under that title. This one I won't review track by track, as it is a concept album and should be heard as a whole. The plot, that the hero, Tom hears, through prog albums, aliens calling to him, is not particularly original, but interesting. Each track has the trade mark keyboards by Fred and Steve. Very impressive they are, too! 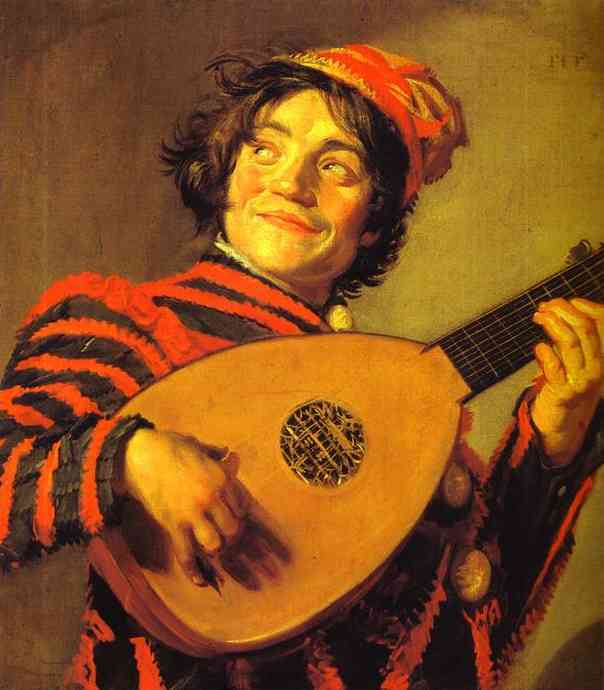 And the guitar, whilst used more sparingly, is excellent. As may be expected, the overall effect, musically, brings to mind Yes. Maybe a touch of ELP is detectable also, but this band is too melodic for them really. No weak tracks here, but I especially like the quiet track 2, with the nice acoustic guitar running through it. Track 3 is also superb, and so are 5 & 6! In other words, it is hard to choose. I would recommend this to anyone who likes Yes, and believe it is best appreciated by listening to it all in one go. So, you may ask, why only three stars? Well, the one weakness here, as commented on by other reviewers, is the singing. Brad Marler, whoever he is, is certainly no singer! Whether he sings like this intentionally or not I don't know, but his voice really irritates one. He sort of drawls, sounding as if he is half drunk, or on some suspicious substance! Fred & Steve must have realised his voice was a drawback, as they handled most of the vocals themselves on the next two albums, improving the sound no end! Nevertheless, that one criticism aside, this is an excellent album. Go and get it! On another day, I would give this four stars. Too many progressive bands are worshipping their roots. This one does it bad. Is Glass Hammer one of the main bands in the prog industry? The answer of course is: no. Why? Whith an album like Lex Rex, this band should have jumped right in the main leagues. Lex Rex had it's influences but Chronometree is simply pumping the fuel directly from it's influences. And this time, it's not even influences, it's plagiarism. I honestly think that Babb and Schendel gave their own fingerprint with Lex Rex and stapled it harder with Shadowlands. In this case, this is just too much for me. The whole plan was to sound like a cross of ELP and Yes. Well, mission accomplished. And how. This album is very well done. The compositions have NOTHING to do with the dynamic of Lex Rex or Shadowlands. This is like a whole different band. The target of tributing ELP and Yes is so well fulfilled, that it's getting annoying. Come on guys!?! The heck is that?? Yes made and album named Relayer with more slide guitar. Check. ELP uses tons of blistering Hammond lines and time breaks. Check. And..well...that's it. Honestly the music is leaving me dead cold. I have a few ELP albums and some Yes too. So? So you don't need another mix of the two. Does the world really needs so much cloning? Par Lindh Project, Triumvirat or Magenta does it better at least. Don't get me wrong, I love Glass Hammer. I even liked the less upbeat atmosphere of certain songs. Some are really great and snappy like Eldritch Wind and Chronotheme. I won't even be nasty towards the very, very, very average singing of whatever his name's. To give you an idea you could cross Simon Le Bon (duran duran) and Ziggy Stardust (david bowie)...but do it badly. Wof indeed. The plot is fun, though a little too prog-nerd for me. Glass Hammer is a killer band. Their 2002 line up is too good to be true. But without Flo Parrish, Susie Bogdanowicz or Walter Moore on vocals...you get an average tribute album of two of the biggest has-beens bands on the market. Chronometree suffers of a major identity crisis, like Triumvirat or Magenta. But at least, with those two, the cloning is worth your money. Frankly, you'd need a solar powered flashlight more than this one. This album from the acclaimed USA progrock band Glass Hammer sounds in general as a tribute to "Tarkus" from ELP, especially the Hammon organ play is very similar to Keith Emerson. But Glass Hammer also features variation in their compositions: mellow parts with vocals, piano and Mellotron, delicate acoustic guitar (lots of flageolets) and synthesizer evoking mid-Genesis and wonderful Gilmourian slide guitar play. The two guest guitarists Terry Clouse (Somnambulist) and Arjen Lucassen (Ayreon) turn out to be great counterparts from the bombastic keyboards by delivering strong soli, interplay with the keyboards (Hammond and Mellotron) and duo-guitarwork. This is not progrock at the level of Spock's Beard or Ayreon, the vocals sound sometimes a bit affectuated but the songs are mature and pleasant for all those who like ELP and that kind of progrock. Glass Hammer's blend of spectacular synth voyages and awful vocal segments is perhaps at its most frustrating on Chronometree. Unlike subsequent albums Lex Rex and Shadowlands, where the cloying female vocals (usually belonging to Susie Bogdanowicz) do the trick, here we have the weak 80s pop-rock tones of Bard Marler. I must say that I started my Glass Hammer experience with Shadowlands, and then worked my way backwards. After hearing Chronometree, I decided to stop. This album is more of a group effort than Lex Rex and Shadowlands. For a start, Fred Schendel is mainly on keyboards instead of going the multi-instrumentalist route that those albums would see him take. The result is a stronger presence of guitar ( Ayreon mainstay Arjen Lucassen guests on lead guitar alongside Marler and a couple of others), but the highlights are still the Emersonian keyboards of Empty Space Revealer and Revelation, and some gorgeous synth work on Chronotheme. It is perhaps telling that the most "unspoiled" track on this album is the scintillating instrumental Shapes Of The Morning ... which clocks in at less than 2 minutes long! I don't want to give you the impression that there aren't moments of exquisite joy on this album, because there are, but way too many songs sparkle, burst into fire spectacularly and then fizzle out. Each Glass Hammer album sounded like a tribute band to the magical Yes. With "Chronometree", they will dramatically evolve in their musical direction. They will now complete it with deep similarities with ELP as well. What a change! We'll get now a morph of Keith Wakeman. Big deal! Musical passages are at times pleasant ("Empty Spaces", "Revelation", "Chronoverture") at times frankly boring ("An Eldritch Wind"). I guess that there are audiences for such an album which is deeply rooted in the mid-seventies sound which I praise so much, but preferably when performed by the genuine artists. But, I'm often inclined to pardon some of these tributes, depending on my mood I guess. The instrumental "Chronotheme" injects some Crimsonian sounds during the opening, but ends on the same ELP-ish keyboard sounds. The worse moment is probably the YesBallad "A Perfect Carousel". Gosh! This is not a bad album, but déjà vu a hundred times. Creativity is not on the rendezvous. Two stars. Modern symphonic bands often receive critique for sounding too much like their '70s heroes, something I personally never had a problem with. Bands like The Flower Kings and Spock's Beard all add their own distinct touched to their music, creating great albums along the way. But now, for the first time, I can see that the criticism is justified in some cases. Chronometree is basically an alloy of many of the great prog bands from the past (and present). As such, virtuosic instrumentalists are at work here, wonderful layering and great musical ideas are thrown around like if they were the easiest thing in the world to come by. No shortage of emotion either. But on the downside, it could just as well be just another cover band. It's all been used before. Never before have I been so struck by the familiarity of many of the parts that make up this record. I hear Yes, ELP, Rush and Pink Floyd. And not just as influences, but as contributors. I know many of these parts from their respective albums. Waters-like singing and Gilmour-esque acoustic guitar, aggressive organ, bass and drums à la ELP (and not only that, I promise there's a part of Karn Evil 9 in here) and above all: Yes all over the place. Be it Howe's distant but clear, sliding and noodling guitar sound, or the atmospherics and effects from Relayer, one can only come to the conclusion that Glass Hammer knows their heroes. Like on some Spock's Beard albums, the concept of mixing frantic keyboard heavy madness with mellow, Mellotron-string-laid vocal parts (sometimes together with that slide guitar from Relayer, or a piano) gets really annoying after a while. It feels like Glass Hammer, at least at this stage of their career, have mastered their instruments, but in the meantime failed to hone their compositional skill. And this leaves a gnawing feeling of incompletion for the album as a whole, a feature that certainly has the potential of overshadowing the instrumental prowess. Chronometree is full of epic music, highly melodic, guaranteed to sweep you away at times with its amassed emotional power and knack for uplifting or arousing themes. It is really colourful at times; I'll give the band that. Singer Brad Marler has received some criticism in earlier reviews. He has a very distinct, modern FM rock kind of style, sometimes a little flat and sometimes reaching for emotions he just can't properly express (resulting in a slightly over-the-top performance), but altogether he isn't the one that brings this album down. Perhaps he is responsible for giving a slight modernized edge to all the retro-prog here. Some may like it, some may not. At least it provides some variety. Arjen Lucassen, of Ayreon fame, also provide additional guitar to Chronometree. Besides a couple of nice dual guitar parts, slightly metalized now and then, he doesn't shine that brightly. But then he's just a guest musician for a change. Perhaps he inspired to some of the more prog metal-like synth runs that are crammed in between all the analog variants and Hammond dittos. Glass Hammer has created a musical melange that works due to its inherent safeness and familiarity with Chronometree. No more, no less. 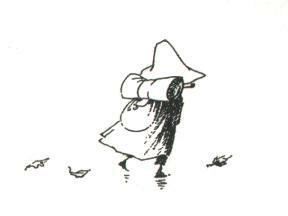 Don't expect to be blown away by a sense of freshness or originality, because then you'll probably get disappointed. But there's just so much potential in the band that I'm still curious about the rest of the band's output, especially the albums that are higher in regard. Honestly, Glass Hammer is one of those bands I think I should love to love. After all, almost every element I like about symphonic rock is here: charging Hammonds, Howe-like guitar parts, classical quotes, lush mellotrons and so on. Still they lack something most of their counterparts like The Flower Kings or Magenta have: a personality. Glass Hammer does not have somenone to church out songs as strong as a Rob Reed or a Roine Stolt: the group´s songwriting is their weakest point. They are superb muscians, no doubt. The arrangements are also tasteful, but the songs themselves have few memorable melodies or hooks. The vocals are also not par to the band´s outstanding instrumental prowness. After repeated spins my feelings are the same: good, but not exciting. Some pleasant moments here and there, but not in an even flow. Production is also ok: not bad, not too bright. If you like the so called retro prog very much you should try this one. But that´s about all I recommend. There I should warn everyone that there are better bands doing this kind of stuff in a more interesting way than Glass Hammer. A pity, because they are terrific players. If they improve their songwriting (and maybe with another singer) then I guess they can get to a higher level. This is the first album I heard from Glass Hammer, and I still have to ask myself, how does this only average 2.92 on PA? It's miles better than that in my opinion. I know that some people are critical of this US symphonic outfit, citing them as copyist. I disagree. Whilst the Hammond does remind very strongly of ELP, overall I think Glass Hammer have their own sound which is instantly recognisable. Keyboards are to the fore but do not underestimate the contribution of Fred Schendel on guitar. Glass Hammer have produced a top-notch symphonic prog offering here. The music is pompy, dramatic and appeals perfectly to me. It's a concept album about Tom, who hears aliens talking to him through his prog albums. It's an interesting concept, but one the band approach with tongue in cheek. The musicianship throughout is superb. The vocals are undoubtedly the weak point. They don't grate particularly with me, but would improve greatly on subsequent albums. Highlights are many. The fast paced opener, Empty Space, laced with Emerson-esque Hammond segues into the brilliant Revealer. This is a very progressive and dramatic piece featuring the main Chronometree theme. Many excellent themes feature within this 5 minute number and in my opinion all could have been greatly expanded. Plenty of dramatic chord changes and gorgeous mellotron to end. Superb. Chronometry is a very melancholic track, washes of mellotron throughout and ace warbling synths. The pompous chorus section is tremendous, very dramatic. I love this track. 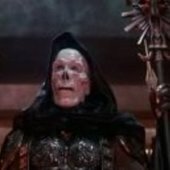 Chronos Deliverer is as good as anything on the album. The memorable theme is backed by a marching rhythm and there is a dazzling array of synths throughout which wash over the listener. A top guitar solo from Fred Schendel too. Waiting/Watching The Sky closes the album with more lashes of mellotron, and a return to the main them. A fitting climax to a superb album. A solid 4 stars for this excellent album. If you're a Glass Hammer fan you'll love it, however I would strongly recommend this to all fans of symphonic progressive rock. There's a heavy ELP flavor to this album, and it makes me wonder if that band wouldn't have sounded like this if they'd been more than trio. It's excellent overall, but there's an awful lot of flaws that must be overcome. Once that task is taken care of, this is one extremely enjoyable album, especially musically. The lead vocals are really slippery, which is a strange adjective to use, and sometimes they're a good fit, but sometimes they make me think, "What were these guys thinking- this sounds awful!" Still, if that can be overlooked, the music is exceptional. "Empty Space / Revealer" Lovely ELP-like organ and drumming begin this promising first track. However, unlike ELP, there's some excellent guitar passages with Mellotron drifting underneath. Sweet steel guitar over piano makes for an interesting quiet interlude, but overall this is a fantastic way to kick off an album. "An Eldritch Wind" This has such a beautiful introduction, with acoustic guitar, autoharp, synthesizer, electric piano, and eventually gorgeous harmonics. "Revelation" No other track sounds more like ELP than this one, with the shuffling rhythms, complex arrangements, and that organ tone. Peaceful strings then introduce the bass and odd vocals (fed through effects as they are). The lead vocals later on can be painful, but otherwise, this is a standout track. "Chronotheme" The rhythm section is what the beginning of this one is all about. Heavy guitar and organ run about over it until an amazing synthesizer lead enters. It is a brilliant piece of music with lots of lovely layers. "A Perfect Carousel" If this were an ELP album, this would be the obligatory Greg Lake acoustic track. However, it sounds nothing like that. This is largely due to the dynamic vocalist, who actually sounds unique on this track. Of course there's the synthesizer solo, which is actually quite fantastic. "Chronos Delivere" Stark acoustic guitar begins an otherwise clothed track, full of keyboards and screaming electric guitar. A lovely choir assumes control for a bit, singing Vivaldi. "Shapes Of The Morning" Organ, piano, synthesizer, bass, guitar, and drums make up the main part of this instrumental. While short, it is an astounding piece of music. "Chronoverture" Piano from the previous track begins this one. It is full of delightful flourishes and dynamics, and then an organ accompanies it. The piece suddenly becomes another ELP-like track (as though the track marker were misplaced between this one and the previous one). For the most part, this track is an exercise in keyboard dynamics and wonderfulness, from synthesizer, to organ, to piano, and I love hearing it. "The Waiting" Synthetic strings bridge the way for an introduction of organ. The middle section is a haunting bit with drums, good bass, and keys, but inexplicably gives way to acoustic guitar and the singing of that slippery lead singer. Lovely strings introduce the end. "Watching The Sky" Hand drums, whistles, and flutes conclude the album in a short instrumental. By the year 2000 it appears that Fred Schendel and Steve Babb with their group Glass Hammer have settled into a pattern of paying homage to some of the seventies masters of progressive rock. On this album, there are hints of Rick Wakeman's synths and Steve Howe's sliding guitar, but the focus is on a very percussive Hammond organ. Yes, Schendel was channelling the spirit of Keith Emerson on this album, right down to the wild solos. For the most part, the compositions only vaguely resemble ELP, they tend to be more fully orchestrated, and sound a bit more mainstream than the bombastic trio in their prime. That does not make them less enjoyable. It's more like the sound of Emerson sitting in with Glass Hammer. Only two pieces, Chronoverture and The Waiting have a true ELP feeling all around, and they are placed near the end. But you know what? I love classic ELP, and any strong attempt to honor them is a good thing. 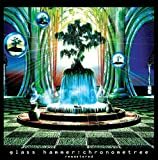 Glass Hammer's "Chronometree" is a 2000 album that shows the band melding their Yes influences with ELP, and it works for the most part. Unfortunately the band did not have a decent singer with Brad Marler, and he often sounds stoned or just uninterested ruining much of the material on here. The musicianship is at times incredible, particularly the Hammond and lead guitar. The big Hammond sound gloriously dominates "Empty Space and Revealer" with Mellotron swathes and steel guitar cascading over piano. "An Eldritch Wind" is ambient and spacey with some relaxed vocals, not the greatest that Glass Hammer will experience but adequate. There are beautiful textures of autoharp, electric piano, and a steady percussion. "Revelation/ Chronometry" is the big ELP happy organ sound, unmistakeable with complex 'Tarkus' ferocity and intricate 'Karn Evil 9' delirium all rolled up into a glorious package. The organ is incredible from Fred Schendel and it really is his show piece. There are nice sliding guitar tones from the incomparable Arjen Lucassen too. There are more vocals eventually from Brad Marler that are more unwelcome than embraced as they are rather toneless. I do like the bass heartbeat on this. "Chronotheme" has a fantastic rhythm section with lashings of heavy guitar riffing. The Hammond runs are off the scale and then spacey synth takes over on another highlight of the album, an instrumental. "A Perfect Carousel" is the acoustic ballad, another carbon copy of Lake's style. The vocals are actually better but still lack that emotion necessary, and they seem to get worse the more the song progresses. It has a pretty melody especially the acoustics. The synthesizer solo is not Emerson by a long shot but still satisfactory. "Chronos Deliverer" is very dramatic, majestic and has the angelic choral vocals of Susie Bogdanowicz, Jamie Watkins, and Sarah Snyder. 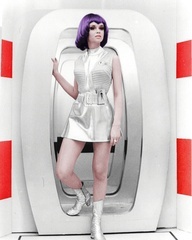 The spacey synths are backed by soaring lead guitar tones. It even throws in Vivaldi as the music builds to a crescendo. "Shapes Of The Morning" is another instrumental with a ton of electric piano, swooping synths, fast fingered organ and pounding drums. The lead guitar soars beautifully with virtuoso playing. It is perhaps the best track as Brad Marler shuts up! "Chronoverture" is an instrumental that begins with minimalist piano beautifully played, joined by cathedral organ. It explodes into Emerson territory and a striking quick tempo locks in. I like the shimmering Hammond and the way the lead guitar chimes in. It is a show pony for Fred Schendel who is stunning on keyboards. The way the tempo shifts is a fabulous touch on this definitive highlight. "The Waiting" is the return of those horrid vocals, but the Hammond tries to drown them out without success. Symphonic strings herald the melody and staccato blasts of bass and drums are effective. It is a heavier song with dark synth tones and pounding percussion. "Watching The Sky" is a dumb short piece of weirdness driven by minimalist drums, whistles, and flutes. Overall this album lacks a great deal, although there are some inspired moments. It has a weird concept about aliens calling from the netherverse while a guy plays a prog rock album, but it matters not. The vocals are the worst thing about it but it has some wonderful instrumental sections, and thankfully many tracks are devoid of any vocals. I would certainly not recommend it as a starting point because Glass Hammer are capable of so much more. For their next work the duo of Fred Schendel and Steve Babb would focus on writing a concept album about a fan of Prog Rock, becoming obsessed with his records to the point he thinks they talk to him!Walter Moore is again among the participants, but lead voices are now a resposibility of newcomer Brad Marler.They also invited Terry Clouse from Somnambulist to help out on lead guitars, while Prog Metal hero Arjen Lucassen makes also additional appearances on electric guitar.The album's line-up becomes complete with Susie Bogdanowicz, Jamie Watkins and Sarah Snyder on backing vocals and ''Chronometree'' is released in May 2000 on the band's Arion label. Glass Hammer appear to be the American answer to THE FLOWER KINGS, but this time, apart from the evident YES influence, there are some strong E.L.P. vibes throughout the album due to the frequent use of Hammond organ and the display of some jazzier keyboard interludes next to the bombastic side of Symphonic Rock.With each release the songwriting and overall arrangements of Glass Hammer sound more tight, cohesive and eventually convincing.They have this recognizable American flavor of new US Prog bands through the ethereal vocals and the more pompous vocal/instrumental deliveries, but the music is heavily influenced by the British Prog scene.This time there are some beautiful vocal melodies and sweet instrumental flashes placed next to the more virtuosic organ-drenched offerings and powerful keyboard solos, while the presence of an accomplished little team on guitars adds some great guitar moves and solos.The album lacks long, epic tracks, but the musicianship is always proggy and highly symphonic with references both to modern and old trends, organ and Mellotron sit next to dreamy synthesizers and plenty of Classical piano lines.The best asset of this fourth studio album comes from the trully memorable tunes and the presence of a great singer in the unknown Brad Madler.The result is a pretty satisfying Neo/Symphonic Prog effort with emphasis on delightful keyboard themes, but also some great guitar work. 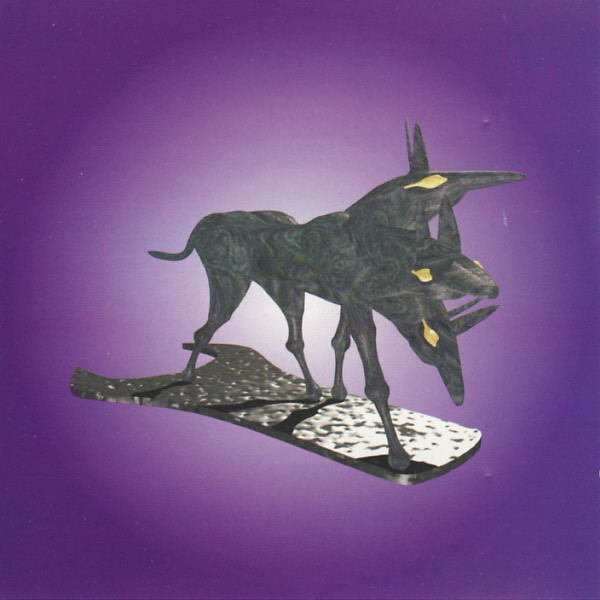 The strongest work of Glass Hammer from the 1990-2000 decade.Progressive Rock with an exhibition of romantic melodies, grandiose orchestrations and E.L.P.-styled masturbations.Strongly recommended...3.5 stars. 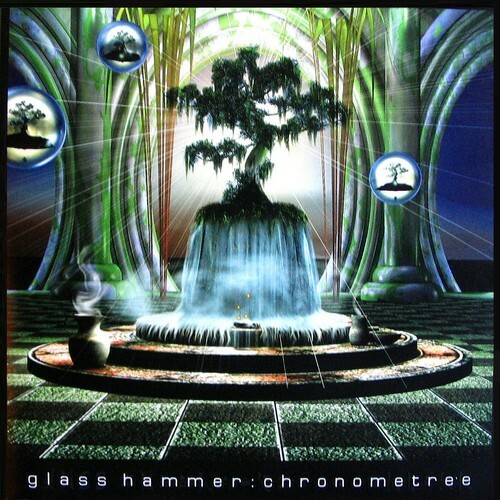 Post a review of GLASS HAMMER "Chronometree"